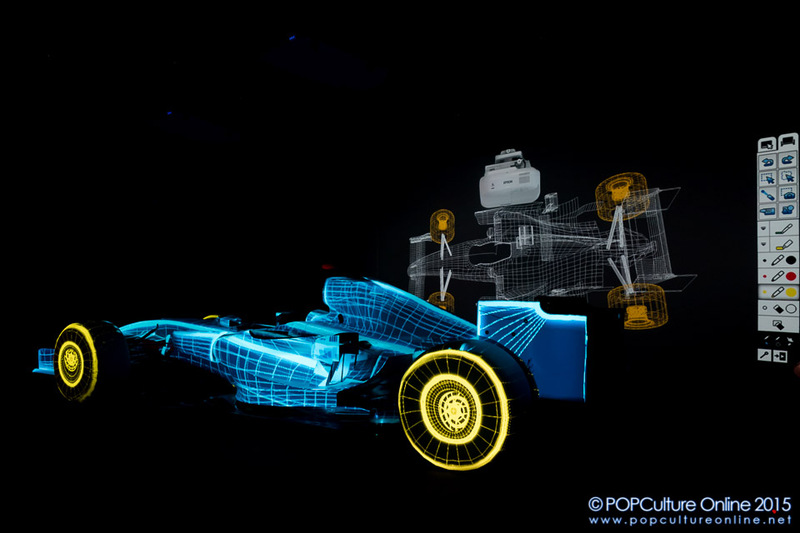 What happens when a global innovation leader in printing, visual communications and quality of life solutions and a leading Formula One team comes together? Well you get a unique partnership that not only provides practical benefits but also a strong identity for both Epson and the Mercedes AMG Petronas Formula One™ Team to take them forward. 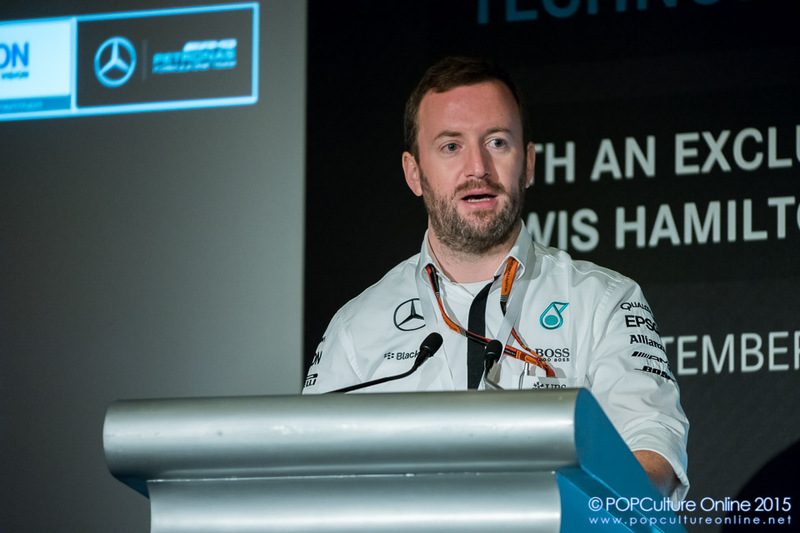 Ahead of the Formula One™ Singapore Airlines Singapore Grand Prix, a special technology showcase was held where executives from both Epson and the Mercedes AMG Petronas Formula One™ Team shared insights on the long-term global partnership. Our tech writer Kenneth Wong heads down to the event to find out more about the partnership. 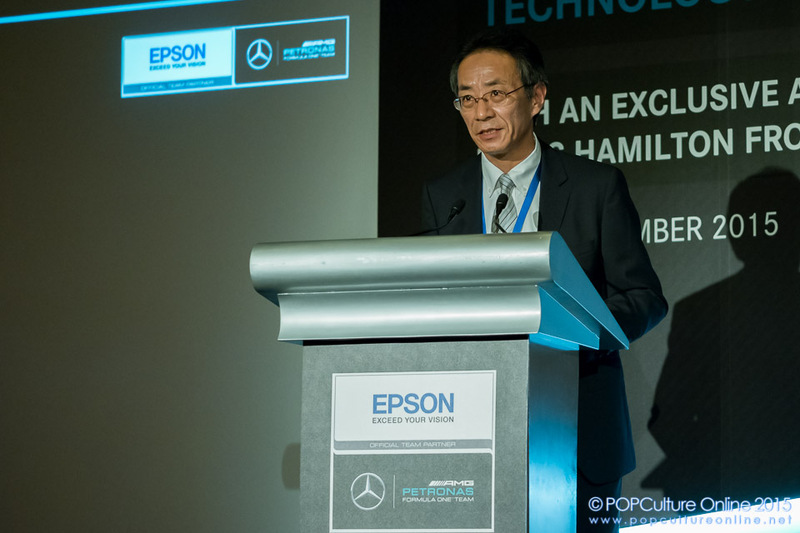 Welcoming everyone to the event, Mr. Toshimitsu Tanaka, Managing Director for Epson Singapore Pte Ltd, shared how both Epson and the Mercedes AMG Petronas have much in common in terms of the pursuit of innovation and high quality products to that of global leadership. 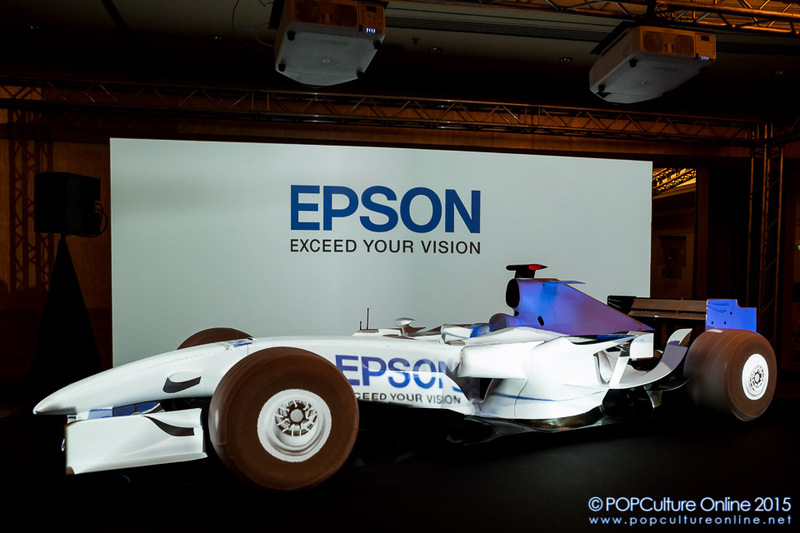 Through the exciting collaboration and experiences, Epson aims to race ahead of the competition and remain the technology brand of choice for its corporate and retail customers. Mr. Bradly Lord, Head of Communications Mercedes AMG Petronas Formula One™ Team, also shared with members of the media and invited guest how in today’s Formula One™ world, sponsorships have moved from the simple paying money to put stickers on the race car to building lasting partnerships on the basis of shared values and shared technology development. On this, he shared how both have similar heritage and innovation characteristics and are now both global leaders in their respective sectors. 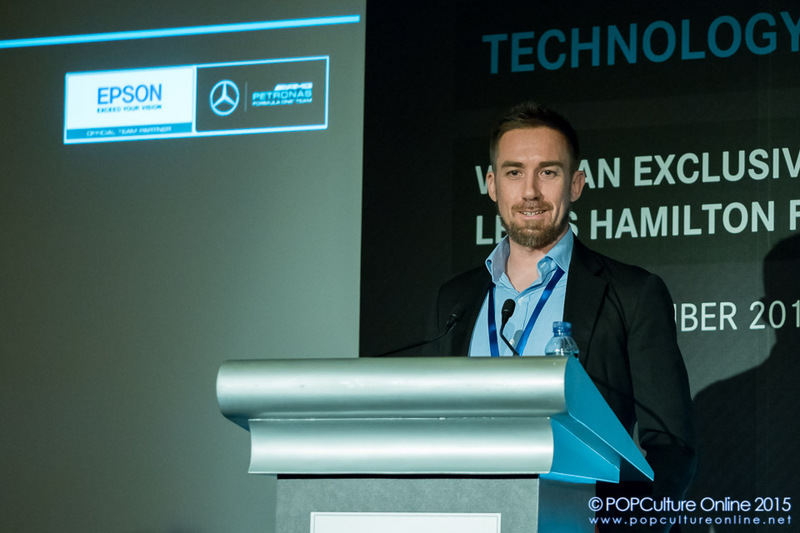 I also had the chance to speak to Mr. Nathan Fulcher, Brand Marketing & Corporate Communications, SEIKO Epson Corporation about the partnership between both Epson and the Mercedes AMG Petronas Formula One™ Team. Sharing about the decision to pick a Formula One™ Team to partner with, Nathan shared that it provides Epson with a global footprint as the Formula One™ has races all over the world. It also provides builds the branding of the company as one of technological innovation and supports its B2B in terms of hospitality support over 10 races which is a great way to entertain Epson’s partners. With Mercedes AMG Petronas Formula One™ Team also using various Epson products, this not only allows the team to fully utilise the latest from Epson (printers, scanners, etc) from trackside to backend, but also provides very valuable feedback to Epson as the F1 is the best real world stress test due to the heavy usage and demand of the sport. 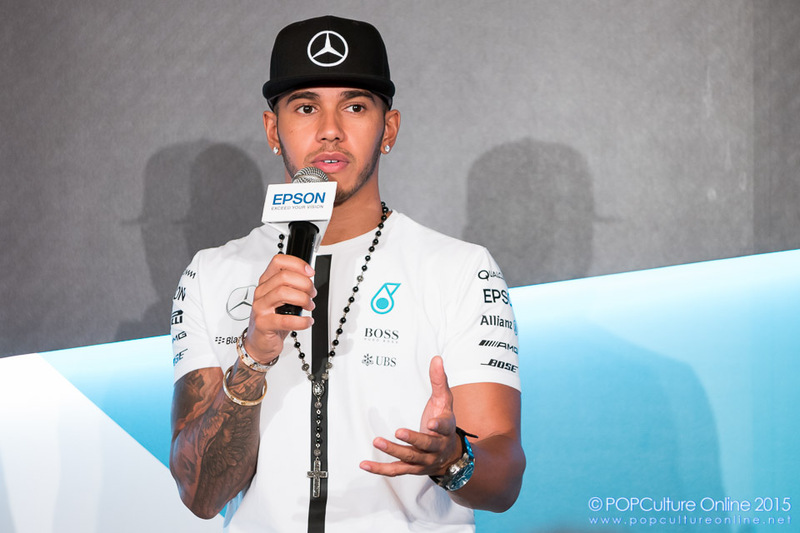 Making an exclusive appearance at the event was Mercedes AMG Petronas Formula One™ Team driver Lewis Hamilton. Currently in the lead with 252 points (at time of writing) and also the winner for last year’s Singapore Grand Prix, Lewis shared with everyone present how he was preparing for the race and how he has to deal with the time zone difference as he has to keep with the European time. On the lighter side of things, Lewis also shared how he would like to spend his off seasons skiing or surfing although with a busy schedule, he can’t really plan for them in advance. On the topic on technology and racing, Lewis joked how he preferred less technology in the car like having an actual gear stick but racing has evolved so much that now it is all in the steering wheel. He also mentioned how technology has come a long way, giving the example of his experiences playing computer games on the 5.25″ floppy disk that held little storage space to smartphones now that can hold so much more. Yes this writer can definitely relate to that having also been through the countless installation disk for a small game! Staying on the topic of technology innovation, media and invited guest were treated to a showcase of one of Epson’s signature innovations. 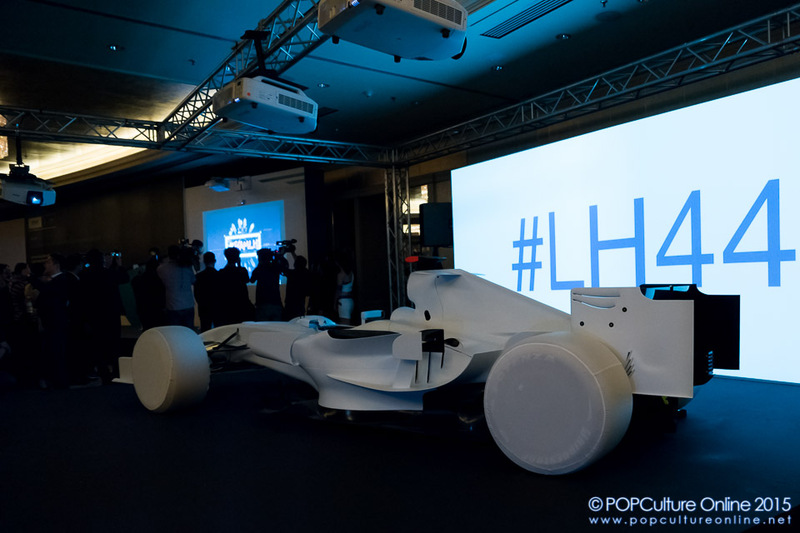 With the Epson EB-Z Series projectors, Lewis Hamilton was invited to write on screen his #LH44 hashtag which was immediately picked up and projected on screen by the Epson EB-1430wi. 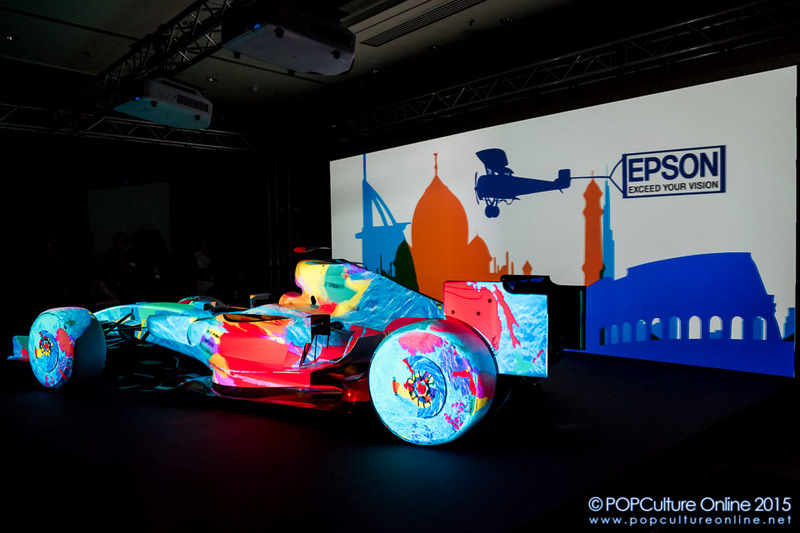 Following which, Epson demonstrated the vibrant colours and clarity of it high-brightness 3LCD projectors with a projection mapping display on a Formula One car thanks to 7 Epson projectors consisting of EB-Z10000U (2 units), EB-Z9750U (1 unit), EB-Z9800W (1 unit) and EB-Z9800W (2 units). 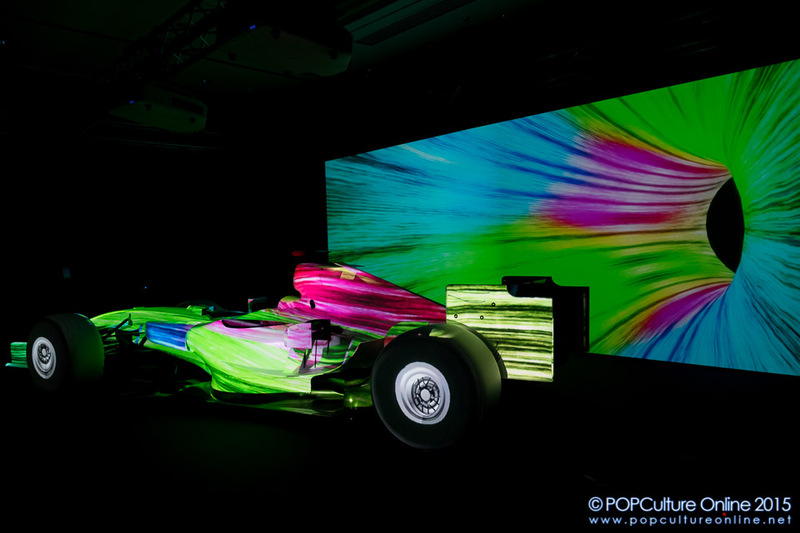 From the drawing board to 3D modeling and to a bight colours splashing onto the car, the background video blended in nicely with the projection on the car, showcasing how far Epson technology has come. Impressive to say the least, this is definitely one way to wow everyone looking at all the handphones out in video and camera mode. 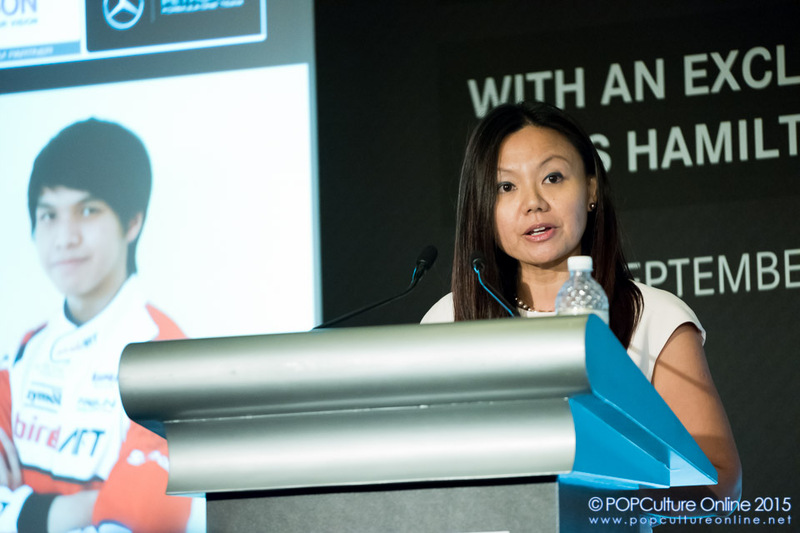 As a company that believes in giving back, Ms. Tan May Lin, General Manager, Epson Singapore Pte Ltd, shared how Epson is exploring ways to support aspiring motorsports racers. This is in line with Epson’s Corporate Social Responsibility (CSR) for youth developments as the commitment and dedication displayed by passionate racers in a physically gruelling sport, from karters to international racing champions ar values that Epson hopes Singaporean youths can bring along with them in life. To this end, Amin Noorzilan, a Temasek Polytechnic Engineering student, is the first local racer to win three back-to-back national karting championships in the Junior Class from 2012 to 2012. 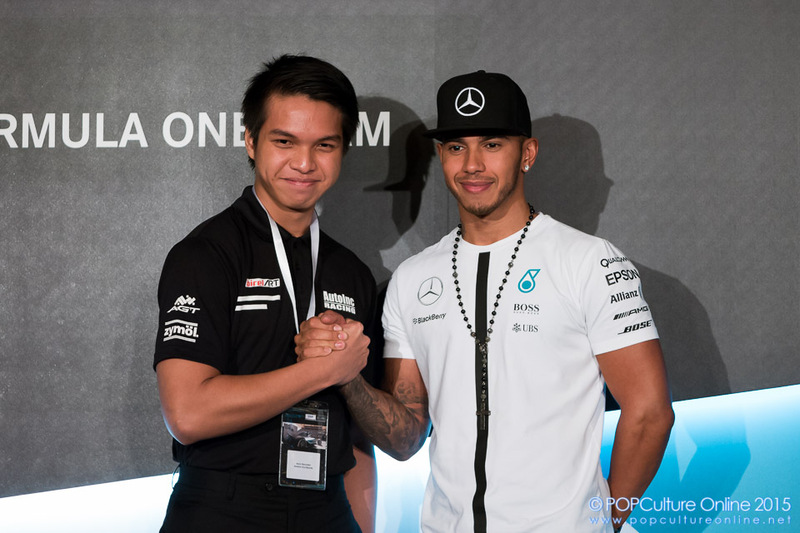 Amin was invited to meet and speak to the double-world Champion Lewis Hamilton and will also be part of the selected group to attend an exclusive “meet and greet” session with one of the Mercedes AMG Petronas Formula One™ Team drivers on 20th September 2015, before the race. Sharing some words of wisdom with the Diploma in Electrical and Electronic Engineering student, Lewis explained that the road to becoming a race driver is not going to be easy and he will meet with many who will disapprove of it. 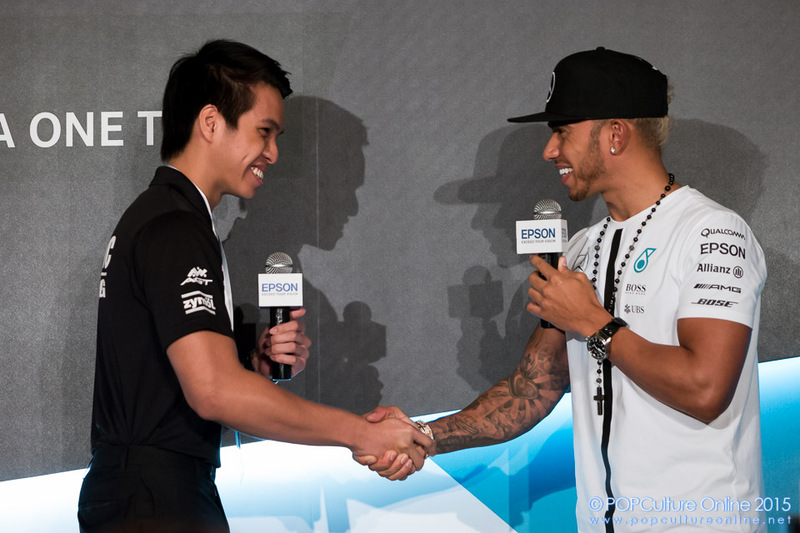 But just as Lewis never gave up, he also encourages Amin to keep on trying his best at the sport. The Formula One™ Singapore Airlines Singapore Grand Prix will run from the 18th to the 20th of September 2015 and all eyes will be on Lewis Hamilton to continue his good form and hopefully pick up a podium finish again this year.